The best part of an impromptu dance party is the joy it brings to both the dancers and the onlookers. And there was a lot of joy recently at the Dallas airport when an impromptu dance party broke out. 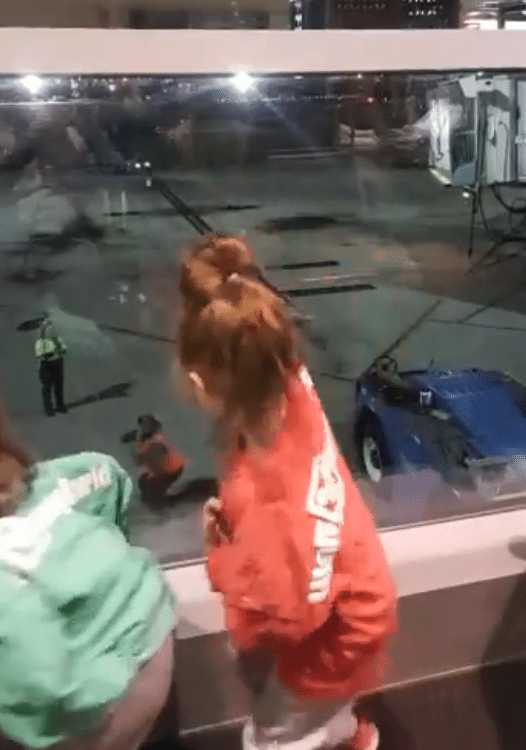 Joe Vaughn of Moore, Oklahoma was waiting to get on a flight to Oklahoma City with his two daughters when they could no longer contain their joy. The girls started busting out in some crazy dance moves. They not only caught the attention of other passengers and people inside the airport but they also captured the attention of some people outside of the airport. Some of the ground crew employees saw the girls’ dance moves while they were standing outside and started mimicking their moves. The girls caught on and just danced back. Then there was a full out impromptu dance-off going on. 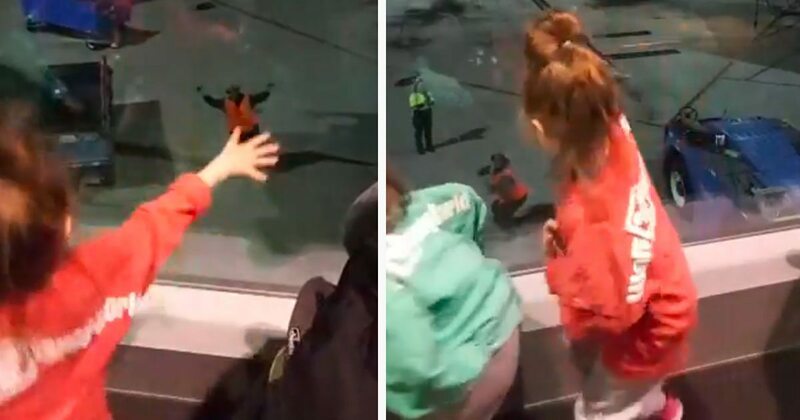 When Vaughn noticed that what was going on between his daughters and the airport staff he decided to record it on Facebook Live. Then the girls, Tinlee, 5, and Brynlee, 3, reversed roles with the airport employees and started mimicking their moves. The girls waved and smiled and even tried out the chicken dance. And the airport staff was having an absolute ball. Eventually, the tarmac dancers got tired and stopped dancing to go about their business. The Vaughn’s story started going viral before their flight even touched down. That Facebook Live video has since been viewed more than 18,000 times on Vaughn’s Facebook page. News outlets from all over have asked Vaughn if they could share his footage. “That was really nice, hope the worker gets good recognition for this, the girls were so happy,” said one commenter on Facebook. “Omg greatest airport worker EVER!! !” said another. 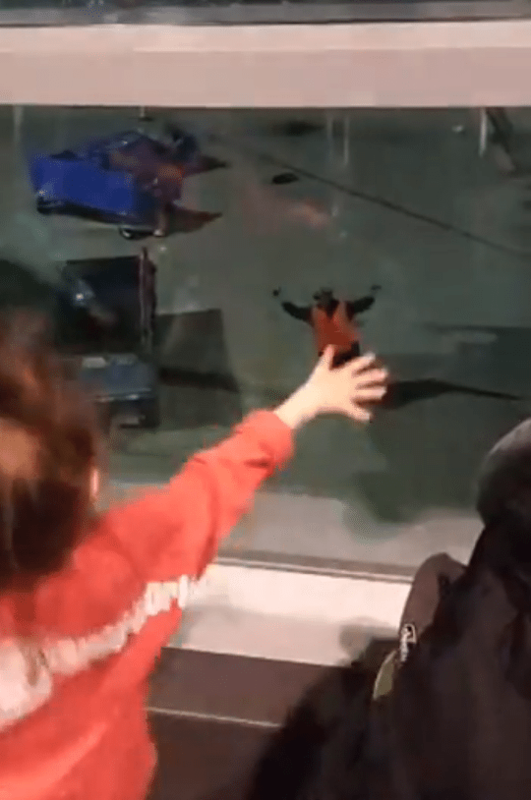 You can watch Tinlee and Brynlee’s dance-off with the airport staff in the video below.